GM CEO Mary Barra spoke with CNBC ahead of the automaker’s investor day conference last Friday to dish out our opinion on a wide range of topics. For nearly 10 minutes, she answered questions about GM’s disappointing stock price, how the company plans to create shareholder value, the auto market at large, Cadillac, and self-driving cars. By and large, GM covered a lot of the information in its investor meeting last Friday. 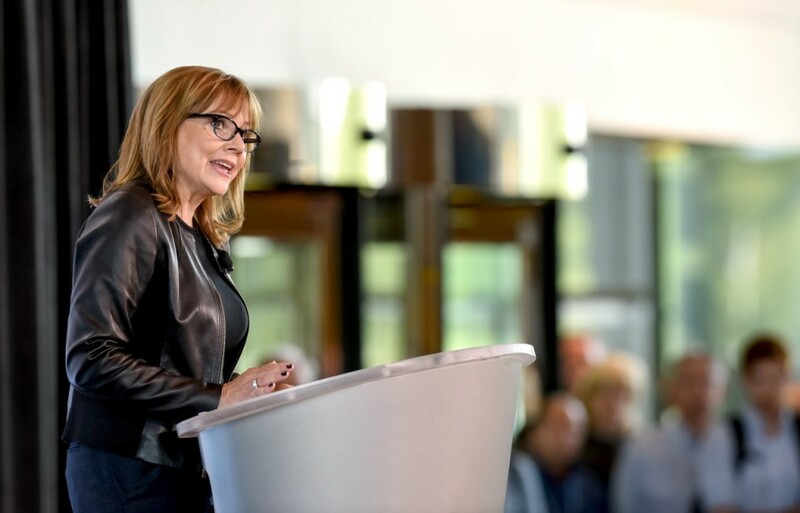 Specifically, GM foresees another strong year for new-vehicle sales and GM CEO Mary Barra is very bullish on GM’s profitability in 2019. The automaker now faces a full year of light-duty truck sales after launching the 2019 Chevrolet Silverado and 2019 GMC Sierra. Ditto for the Cadillac XT4 and the Chevrolet Blazer. Additionally, the Cadillac XT6 will reach dealers this year, which also kept her very positive. On the topic of plant closures, it was also good news from Barra. She did not sound ready to announce additional cuts and said the focus will be on ensuring the thousands of employees transfer to new positions. GM announced it has 2,700 open positions at plants with labor demand. Today, 700 laid off employees are on their way to fill those positions. Closing the plants permanently will be a different story as GM gears up for labor contract negotiations with the United Auto Workers union. When the conversation shifts to Cadillac, Barra doubled down on the notion that the division will be GM’s electric-car leader. Fellow GM executive Mark Reuss said the brand’s shift to electric cars is the final push to reinvigorate the Cadillac brand in a separate interview this week. We know the brand has an electric SUV in the pipeline with at least 300 miles of range that should debut in 2021. Barra approached Cruise Automation with a different tone. She was cautious about deploying and commercializing self-driving cars in 2019 as the automaker promised in the past and underscored that safety guides all of Cruise’s future developments. 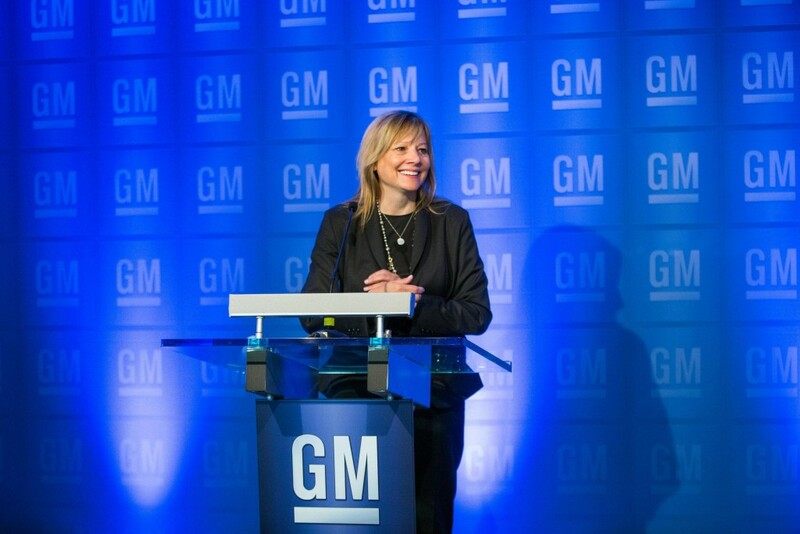 Watch CNBC’s full interview with General Motors CEO Mary Barra from CNBC. If GM does’t get the Cadillac EV program correct, it might be a close the curtains kind of situation. GM better be dissecting how Tesla is getting more range and amazing speeds from their motors and come with it in 2021. This program has to be a zero compromise and zero excuses execution. I for some stupid reason think GM is placing all their cards in the EV game as they should and will come out extremely victorious. I really do. It’ll be GM, VW, and Tesla as the EV leaders of the Industry. VW is about a year away from a RWD $30,000 Hatchback so GM better also fix the Chevy Bolt ASAP as well. And I will go out on a limb here and state that GM is indeed working on EV trucks. They have to. Once trucks go full EV, the ICE age if basically over. Think of the power an EV truck will have. The way an EV pickup can become an extension of a job site while supplying power for tools and such. I for one am extremely excited for the future. And yes I do believe True Sports Cars will still be available to us. But in limited choices. The leadership could be more careful how their words can be interpreted negatively. As long as they commit to keeping the content strong on the Escalade, Cadillac has a future. I doubt battery power will be a good choice for recreational towing. It’s an area I wish EREV concepts would have at least been made. Maybe they are looking forward to fuel cells for trucks. Would people buy a fuel cell Escalade? With added infrastructure? A Tesla Model X can tow a Silverado 1500 while the Truck is parked. EV’s are pure Torque. EV trucks will make for excellent towing vehicles. Sooooooo Ford just announced they are working on a PURE EV F-150 huh? Get on board with EV’s. It is what will make the Big Three relevant once again. Especially our beloved GM. They have been working on the technology from the get go. Electric cars will never totally replace ECE cars until they get just as much if not more range than the ECE vehicle, charging stations are as common as gas stations, and charging time takes no more than filling up a car with petro. If course the oil companies and their strong lobby will have a lot to say about this. I think that GM under Machete Mary is chasing fool’s gold. While Ford and FCA are coming up with “gotta have” products, this ignoramus is coming up with cheap interiors, overpriced vehicles like the Blazer, falling market share, and a full push into AVs just as any enthusiasm that was there for this tech is waning. Uuuuuum. Once they get EV’s to 500 Miles per charge and charging times to about 15 minutes, it will be Good Night to ICE. It is coming much faster than people realize. Hopefully our Government (Both Sides) get on board as the EU and freaking China has. People can Thumbs Down all they want but reality is what it is. EV’s are the future. Tesla Model 3 just became the number one selling Luxury vehicle in the USA and guess what, it is NOT an SUV/CUV and it is NOT cheap. Tesla just made a Sedan (Which every other auto maker claims are dead in the market) Number one luxury vehicle. Let that sink in. Go USA, Go Tesla. So yeah be as upset as you’d like but GM is 100% doing the right thing here. Just make no excuse EV vehicles. Nobody is going to sit and wait 15 minutes to charge their car when they’ve got crying kids in the backseat, need to get to a doctor appointment, etc. People will *not* change their lives around the charging needs of their car. They will simply by a different product. Why would kids be sitting in your car in the garage overnight while the car is charging? Are you specifically saying when you’re on a road trip? If you are discussing a Road Trip situation, who drives more than 500 miles in one sitting and if you actually have to, you will stop to eat correct? So while you’re eating your car is charging. See, no changing of lifestyle at all. 400/500 Mile EV’s are coming much sooner than you think. Technology changes very fast when there is competition and money thrown its way. I wasn’t around but Russia beat us in every single step in the Outer Space Race. The President set a Date and money flowed and we all know the rest. Stop and eat? During a 500 mile trip? I’ll pass, thanks. I don’t mind EVs, but I’ll not be using one anytime soon. As for mass adoption, I’ll happily bet that it’s quite a bit FURTHER off than you think. I have no confidence in what she says. I use the “triple zero” plan and the recent “we didn’t know you thought we said the CT-6 was dying” episode as evidence. And while I understand plants not being used to full capacity, I don’t understand completely abandoning an entire segment of the market and concede it to the competition especially when one of your company’s best products compete in that segment (Impala). I don’t blame all of this on Ms. Barra but you know she is the BOSS!! Want to address the racism in your plants? I have little to no confidence in anything she says with which way is the wind blowing today Mary. Are you going to address GM’s cheap interiors that the media has been ranting about, across all brands and models? Are you going to flesh out your SUV line-ups to include actual sport models (not just appearance packages) and hybrids? Are you going to address the ridiculous options/packaging strategies that forces customers into high price brackets to get what others offer for far less? Are you going to address the ridiculously high MSRPs that don’t match the lackluster feature/materials/trim content? Are you ever going to understand that Cadillac needs to be bold, uniquely American and truly premium? Are you ever going to disarm the bean counters that run the company? How about a viable battery powered lawnmower before government starts forcing people into overpriced EV’s. Agreed 100% about GM needing to use better interior materials. GM needs to step up and spend the money and just get it done already. Old habits die hard. Yes, there will be GM EVs, and compared to the competition they will have cheap interiors, be overpriced, and less reliable. The bailout was a mistake, GM should have been allowed to fail. It was the only way they would have been forced to take a long hard look at all the things that don’t work. Something better would have grown in its place. All car companies look at profits and cheap out when they can; GM cheaps out in areas even where they can’t or shouldn’t. It shows in all reputable reliability studies, the vast expanses of shiny plastic inside, and panel gaps inside and out that would make any Audi designer want to commit suicide. Others build cars first and also try to make gobs of money. GM tries to gobs of make money and sometimes forgets they also need to make quality cars in the process. Misguided patriotism (‘murican company, even if it builds cars poorly or elsewhere) and tradition (my daddy always drove one) are the only things that will keep this company afloat, not superior, must have products.